Unfortunately I'm not longer running my website & my previous domain has expired. However, all of my writing experience has led me to my latest venture, so introducing www.EleyMarketing.com! This is my new business which can help you with all of your online promotional needs! 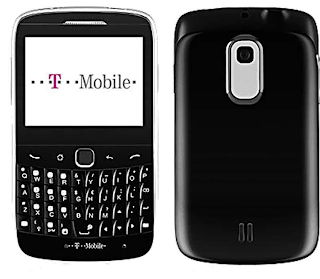 In 2011 Motorola released the Atrix - the first phone with a finger print scanner, but more importantly, the first phone which could be connected to both laptop and a hdmi docks which launched a desktop interface, powered entirely by the phone. It was revolutionary. Somehow Motorola had trouble shifting their Atrix's - the consensus for struggling sales being that the phone was 'too geeky' for the average consumer! As the company changed their priorities as the platform didn't gain momentum, they killed off their webtop platform and left us heartbroken. The problem for Motorola was that they were slightly ahead of their time. 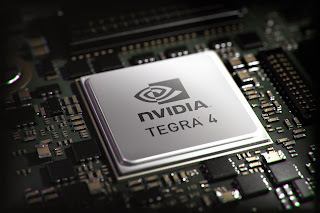 The Tegra 2 processor in the Atrix was not quite powerful enough to provide a good experience, but if they had been a year later, the Tegra 3 and Snapdragon S4 platforms would have provided us with a much better experience. Since then we've heard snippets about this idea being rekindled. Blackberry said that they would try to get BB10 everywhere and they even hinted that it could become a desktop platform and there was the fateful IndieGoGo campaign from the guys over at Ubuntu, but the price was a stumbling block and they just couldn't really garner the sort of interest they needed to get the phone off the ground. So while Linux has struggled to fund a one device model, Microsoft have opted instead to promise the synergy in another way. Their recent 'One Experience for everything in your life' campaign has highlighted the companies direction, even if they struggle to giveaway Windows Phones at the moment. The premise for the computing giant then is to offer you the same experience across your phone, tablet and computing platforms, with no immediate intention of merging devices into one. This is something which it seems as though they'll push even more by the time Windows 10 rolls around! And why would they, as it stands they can get away with collecting your cash for three operating systems if you buy a phone, tablet and PC and until they could make a tablet dock, desktop dock and the mobile phone themselves, it's not a financially viable to offer one device which can do everything. 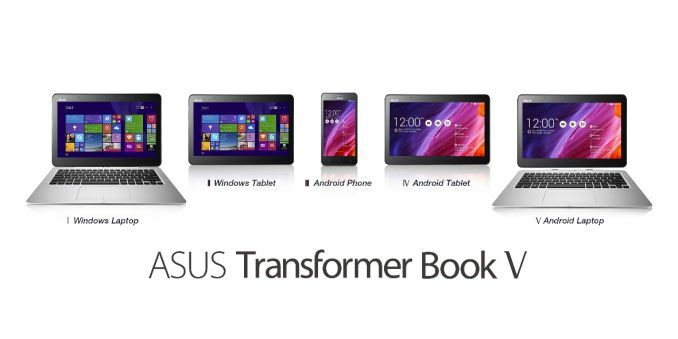 Companies like ASUS keep the dream alive with concepts like the Transformer Book V. If they can stop Google and Microsoft shutting down their ideas then the one device to rule them all dream could still be achievable! The Lumsing Power Bank is a reasonably priced solution to the problem which a lot of people face of not having removable batteries from their phones. 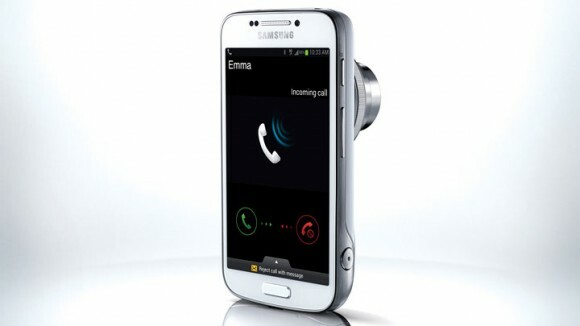 If you have an iPhone or a HTC One or something like this something which would suit you down to the ground! 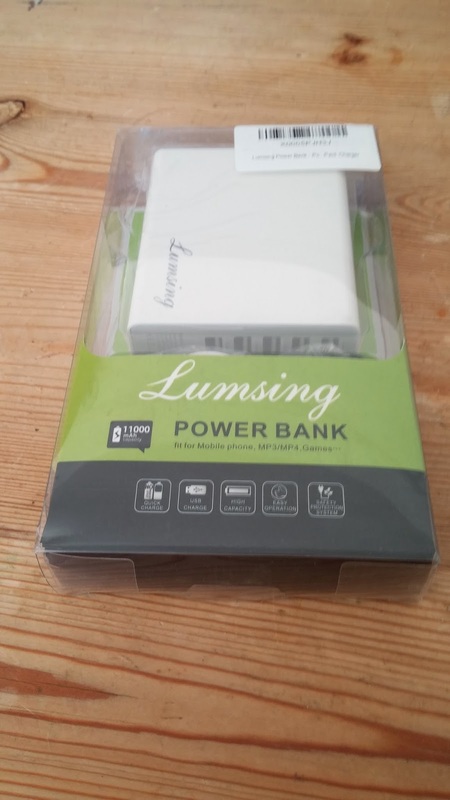 As far as power banks go there's a lot of choice on the market; you can go for super cheap solutions which will give you a slight top up if your phone needs one half-way through the day, or you can go for something slightly more expensive like this Lumsing which promises to give you multiple charges from it's larger battery. Obviously the main thing with this sort of device is how long it lasts and whether or not it actually comes through on the promise of recharging your devices. With an 11,000 mAh capacity theoretically this battery pack could charge my LG G2, with it's 3,000 mAh battery, three times with a little bit of juice to spare. As we know though, theory and practice are not the same things. People normally say you should expect to get about 70% of the total capacity out of the actual battery bank, so you can think of this as a 7700mAh unit, which is actually quite respectable. With that in mind, it's good to know that the actual transferable capacity of this device is probably somewhere close to the target 7700 mAh. We managed to get 2 full charges of the LG G2 and there was enough to top the phone up to 60% again, so the performance was slightly better than we would have expected, which is fantastic given the price! It's also nice to know that you can simultaneously charge the power bank and charge something else at the same time, so if you only have one charger then you're still good to power your battery pack and phone or tablet at the same time. Another nice addition is that the five USB ports which you can charge from all offer varying outputs. So you have a 1.3A output for your Galaxy Tab, 2.1A for the iPad line, 1A for your typical mobile phone and then 0.5A for a smaller battery bank or perhaps an MP3 player. It's great because it adds an extra bit of versatility to your power needs and we're sure you could give charging your laptop a go from this if you really needed an extra bit of juice too! Some people have asked if you can use the power bank while it is charging and you definitely can, it works really nicely! this one we have no concerns over the quality of it. The bank feels nice and dense, which if nothing else is reassuring. The plastic which Lumsing has used feels nice and sturdy - it reminds us of the plastic which LG employed on their G2 and which Samsung have used on their older generations of the Galaxy S.
You might be asking yourself why we bothered to talk about ease of use - surely you just plug it in and go. To a certain extent you do, but with some battery banks you have to flick switches for different ports and it can get a bit messy. The Lumsing on the other hand chooses to keep things simple. You get one off and on button. Press it once and it shows you how much charge there is and turns the whole unit on. Press it again and everything will shut off. It's simple and elegant and that's the sort of no thrills performance you want from this sort of accessory. 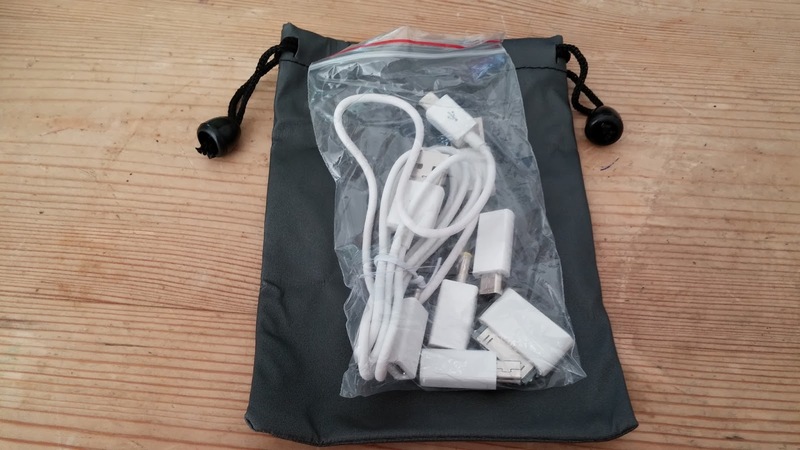 In the box you get a plethora of connection options; there seems to be an adaptor for almost every type of proprietary charging jack which we could think of as you can see to the right. The little bag which Lumsing threw into the box is a nice touch and although it's undoubtedly cheap and cheerful, it's actually a good extra layer of protection if you throw the unit into your bag. You know that people often say it's the little things which matter, we definitely think helps when it comes to things like this. 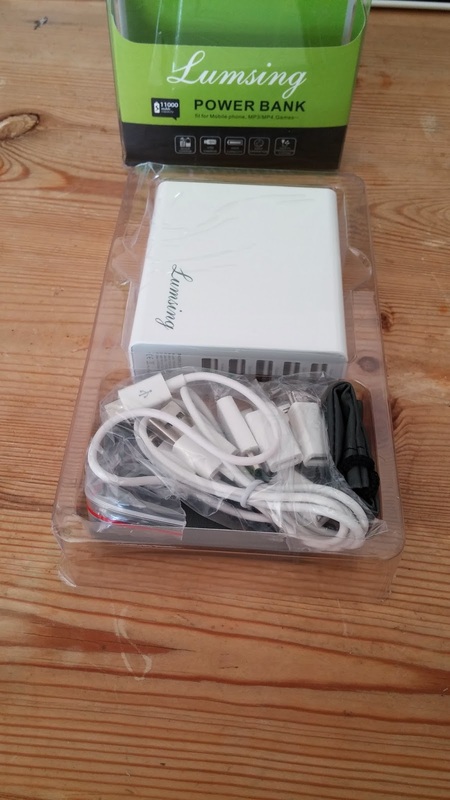 It's also worth bearing in mind that this power bank comes with a 12 month warranty and that promise of longevity is also so a sign of Lumsing's confidence in their product which is great to know as a buyer. Especially as most phone companies recommend changing the battery in your mobile phone every six months if that's an option! 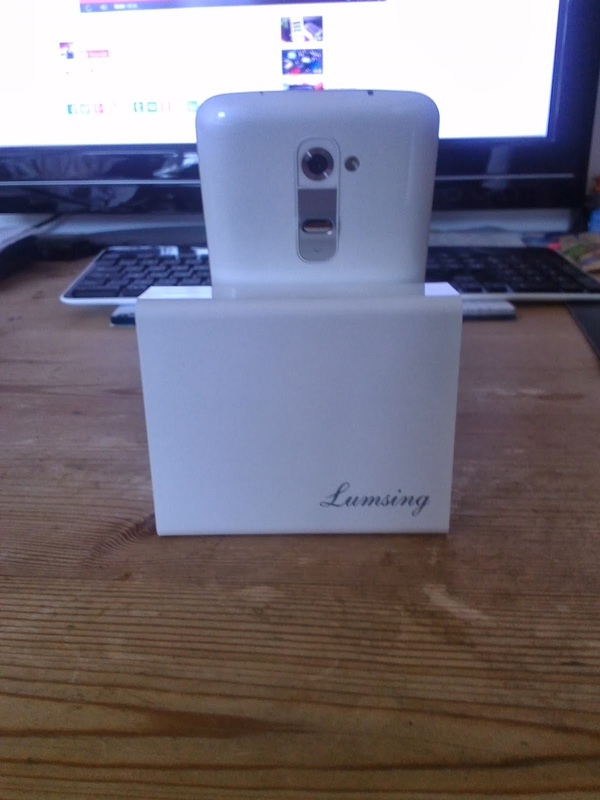 So is the Lumsing power bank worth your hard earned cash? In a word, yes. It does exactly what it says on the tin, it's solidly build, Lumsing has convinced us that they're offering a good quality product and as far as we're concerned you shouldn't be disappointed with what you're buying. Opinion: The OnePlus One lottery. 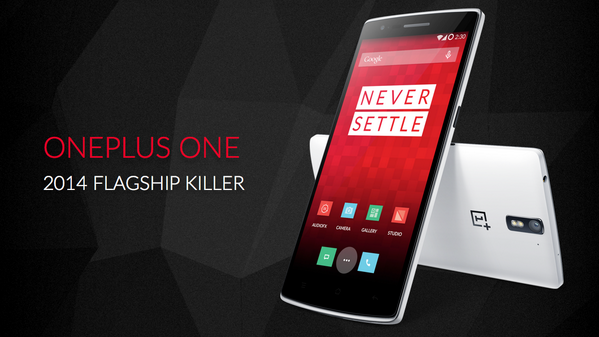 The beautiful device which you see pictured above this text is the OnePlus One. The company is made of a few people who used to work for Oppo, you can probably tell given the similarities between this device and the Find 5. But, looks aside the OnePlus One is a powerhouse with the Snapdragon 801, Full HD 1080p 5.5" screen, 3GB of RAM, 16 or 64GB of internal storage and a 3100mAh which should last you pretty well. The best thing about the phone though is the price. £229 for a 16GB version or £269 for the 64GB variant which simply blows everything out of the water in terms of price to performance ratio, especially when you consider that the device will be kept up to date by the guys over at CyanogenMod, this thing becomes a very interesting beast for people who like to buy their phones sim free. So what's the catch? Well seemingly nothing with regards to the phone, the problem though is that it's nothing short of a lottery to get hold of one! We know the problems that some companies (I'm looking at you Google) have when they try to launch a new device and people can't wait to get their hands on the shiny new toy as soon as possible. To alleviate this issue OnePlus have decided that they will release a very limited stock onto the market and then from there you will be able to get hold of a phone by invite only. On the surface this is a good way of managing demand while the early production issues, which there will inevitably be with a new company and new device, get ironed out. But, where does that leave the consumers, the people who actually want to buy this phone. Well, in a bit of a predicament. Why would someone who wants a new phone try desperately to get hold of this phone by bribing someone for an invite or smashing their old phone when they can just walk into the nearest Carphone Warehouse or navigate their browser straight from here to Google Play or Amazon to pick up the Nexus 5 or any other device they want? Yes, the price is the only reason why you would wait for this phone. The problem for OnePlus is how quickly they can go from these 100 phone smashing incidents to taking the money from everyone who wants to carry one of the 'Ones' in their pockets. If they take a few months something better will come out, but they have a couple of months to scale things up and if they can do it fast enough, then they'll stand some sort of chance of having a successful product. I think the phrase to finish this off with should be slightly ominous, so I suppose 'time will tell'. 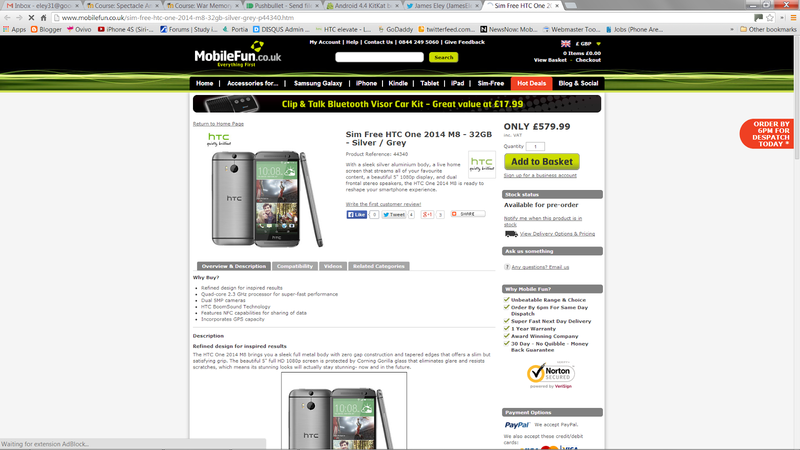 Today the UK retailer, MobileFun, may just have blown the surprise on this year's HTC One. The much anticipated device has cropped up on a pre-order page on their website so it's hard to be sure if this is entirely accurate or not. While the company will be stocking the device they may have just made a mock-up of the page to save themselves some time when the phone actually launches, or alternatively someone has made quite the mistake. The website has the phone up for a pre-order price of £580, which is a bit expensive and subject to change, but here's what that money will supposedly get you. 5" HD Super LCD3display with Gorilla Glass. 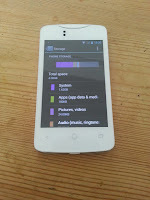 A Quad-core 2.3GHz Qualcomm Snapdragon 800. Dual 5MP cameras on the back with autofocus, LED flash, HDR video 1080p@30fps and secondary 2.1MP camera, HDR video 720@30fps. All round this seems like a solid package, the only other thing we'd like to know is the size of the battery and whether or not it will be removable, but that will come in time and we don't know for sure that these specs are correct anyway. What do you guys think? 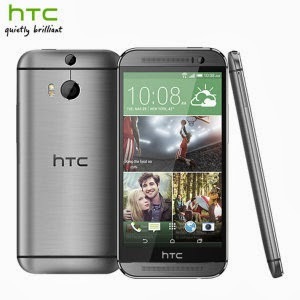 Would you be happy to own a new HTC One if it looked like this? Let us know your thoughts in the comments below and don't forget to check out the screen grabs either! MobileFun Via Twitter (Dave Thornton). Asus announces Android 4.4 KitKat is coming to the Padfone 2! 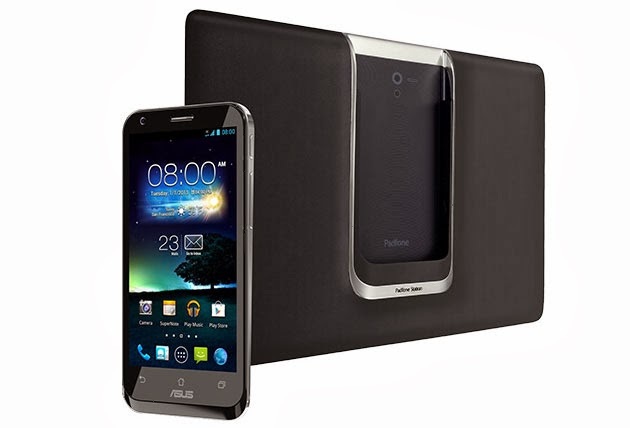 Some of you lovely people out there might be big fans of Asus' dockable phone/tablet combos which have the wonderfully strange name, Padfone. 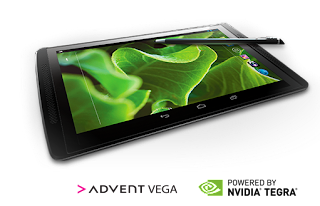 The second generation of that device is currently running Android 4.1.1 Jelly Bean, but today Asus UK announced through their Facebook page that the device will be getting a bump to Android 4.4 KitKat at the end of Q2 this year. As well as the bump to the latest version of Android there is also the promise of the new Zen UI landing on the device too, which will definitely spice the interface up for people who have owned the device since launch! 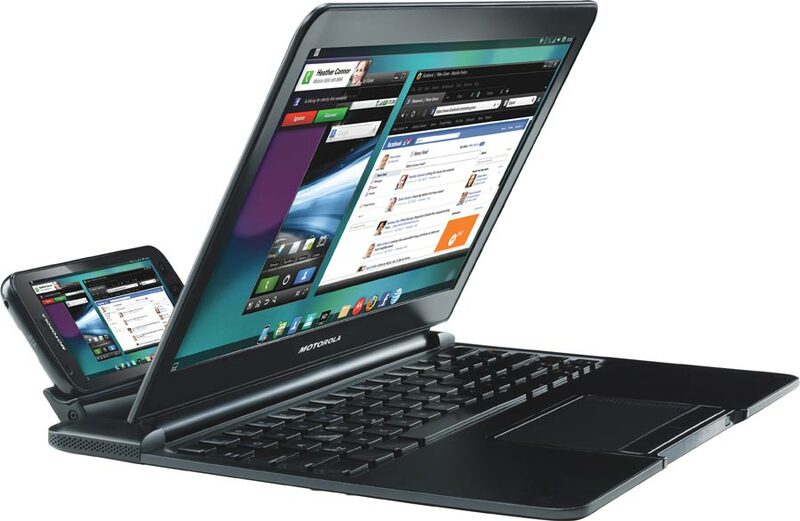 Asus also confirmed that the update will come to the PadFone Infinity, but that won't be until Q3 this year! 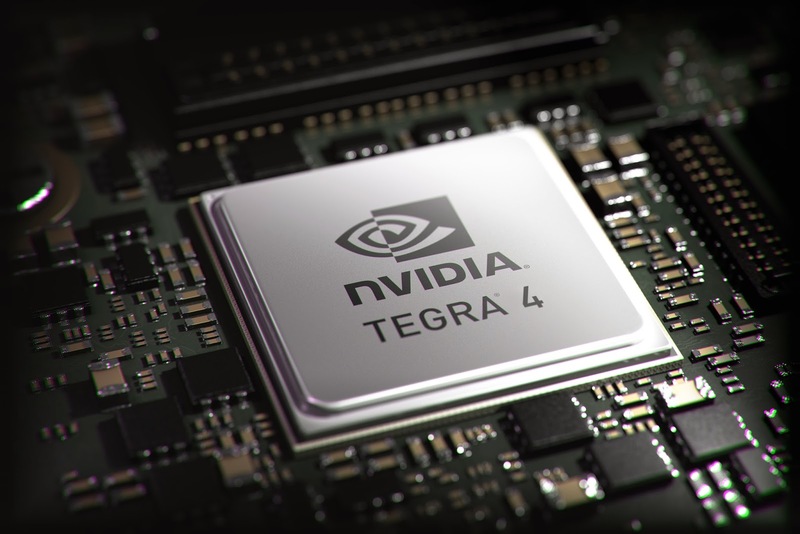 Nvidia push out Android 4.4.2 to the Tegra Note 7! This evening Nvidia, the makers of the Tegra Note 7 which has been adopted by a number of different brands around the world, have started pushing out a new update to the tablet! 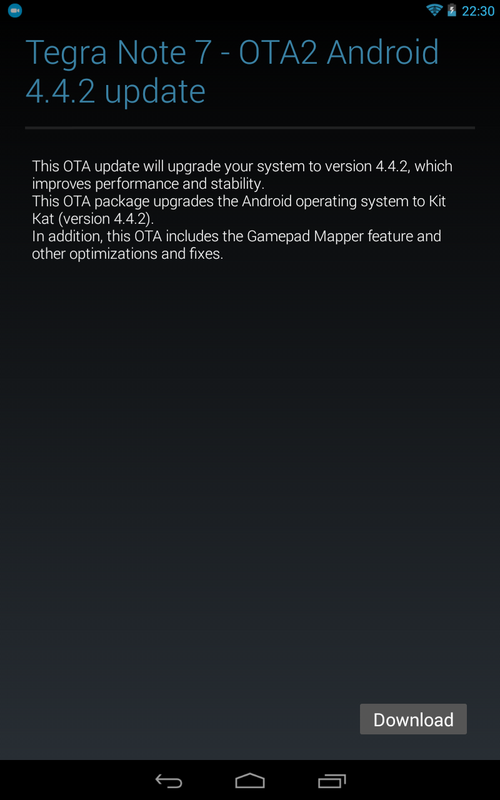 The update brings along Android 4.4.2 KitKat, making this little guy one of the first tablets aside from the Nexus range to receive the update. 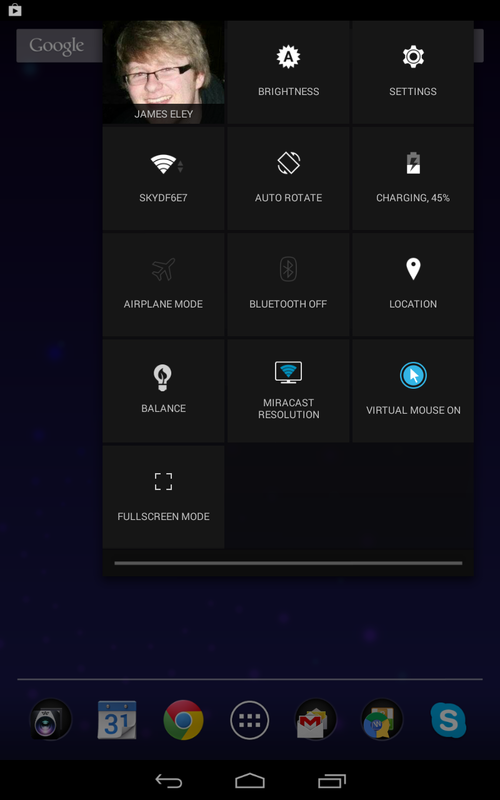 Some of the notable changes, aside from the software bump, are the new Gamepad mapping feature which we've previously seen on Nvidia's Shield and the notification bar is now that KitKat white colour. 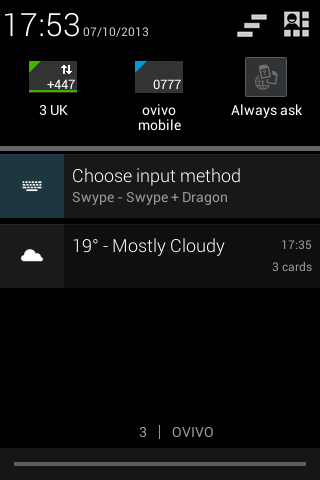 That colour change also made its way onto the toggle bar, which you can see in the images below. 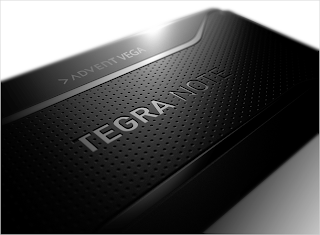 As always with updating Tegra Notes, if you check for the update and don't find anything waiting for you then put your tablet on charge and try checking for updates again, that always seems to do the trick with our device! 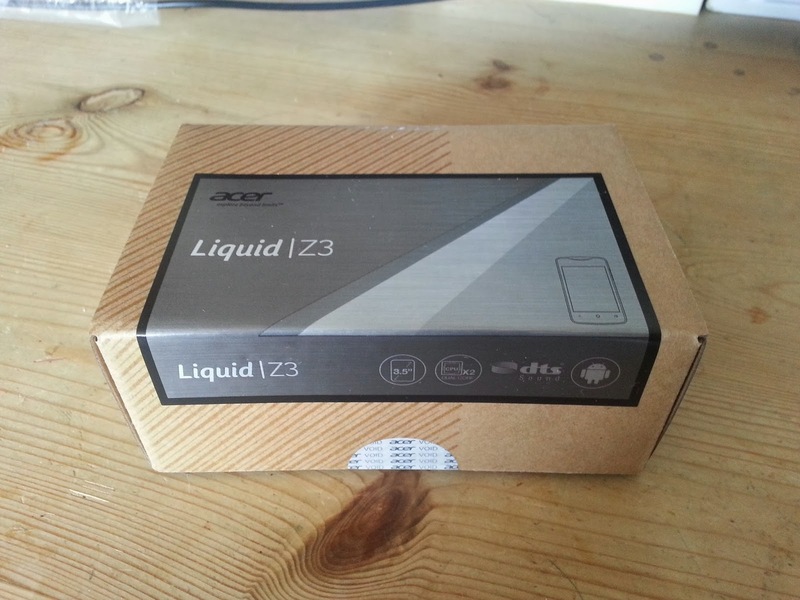 The Acer Liquid Z3 Duo comes packaged in a simple, cardboard box. It's particularly inoffensive and it reminds us of the box you'd expect to see your shiny new Samsung Galaxy device arrive in in terms of minimalism. It's simple, but strangely elegant. The wrapped around silver label, with four different shades, contributes a lot to your initial impressions. This label tells you the model of the device and then you have to head around to the other side of the box to find out all of the technical details about the phone. From the box alone, you wouldn't be able to guess the price of the phone; this box could contain anything and you wouldn't be surprise. 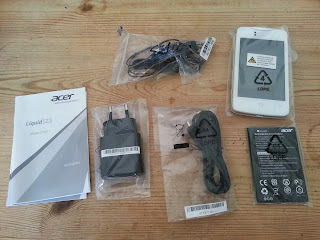 Acer hit a home run with the packaging and in this instance you can easily believe that less is more! 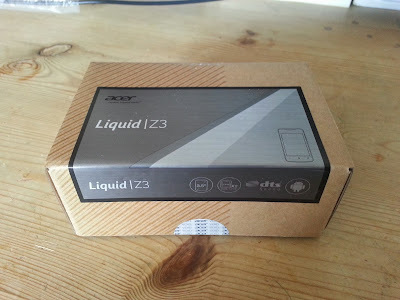 Once you're past the box, then the Liquid Z3 will be sitting up front and centre, wrapped in the factory packaging. 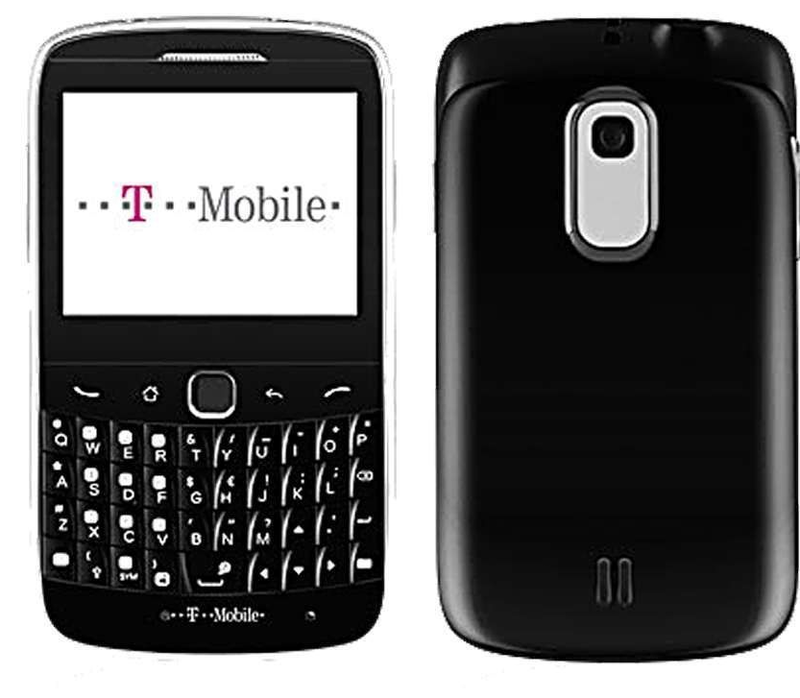 When you lay eyes on the device it's inoffensive and initially we had to do a double take on the capacitive button configuration, because of the striking similarities between this and the HTC First, which you can see below! 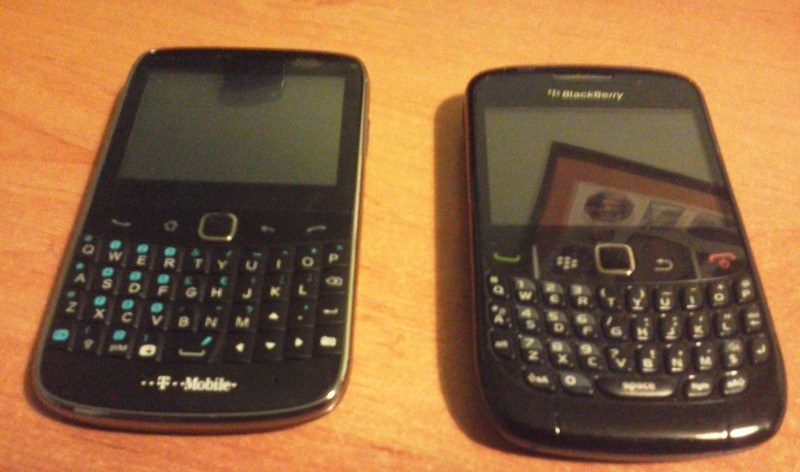 Seeing as this is a budget handset there's really not too much spectacular stuff on this phone. The whole the device is deliberately inoffensive; there's not too much bezel, the device is well proportioned and if this is your first smartphone there's very little to dislike here. In fact, the glimmering Acer logo and the 'smile', as I've come to call it, (the curve which acts as the ear piece for phone calls) make the front of the handset surprisingly appealing. It's to the sides and at the rear of the device that it becomes a lot more obvious that we're dealing with an inexpensive phone here. 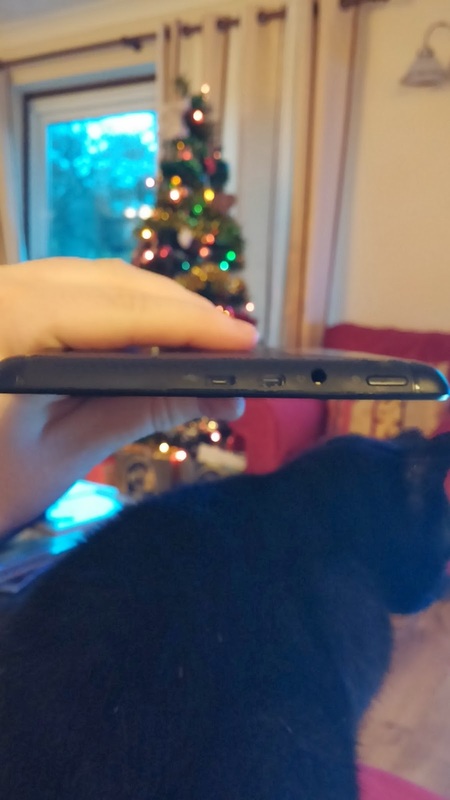 The matte battery cover on the back of the phone is a cheap plastic, somewhat reminiscent of Samsung's typical offering, although slightly thicker and a lot less flexible. The white version, which we have, is a potent dirt magnet, which is just something to bear in mind, when choosing your colour, as we assume the black unit, wouldn't show this up quite as readily. As for all the hard button controls and ports they're nicely spread around the device. The power button takes pride of place right in the middle of the top edge of the phone and it's accompanied up there by the 3.5mm headphone jack. 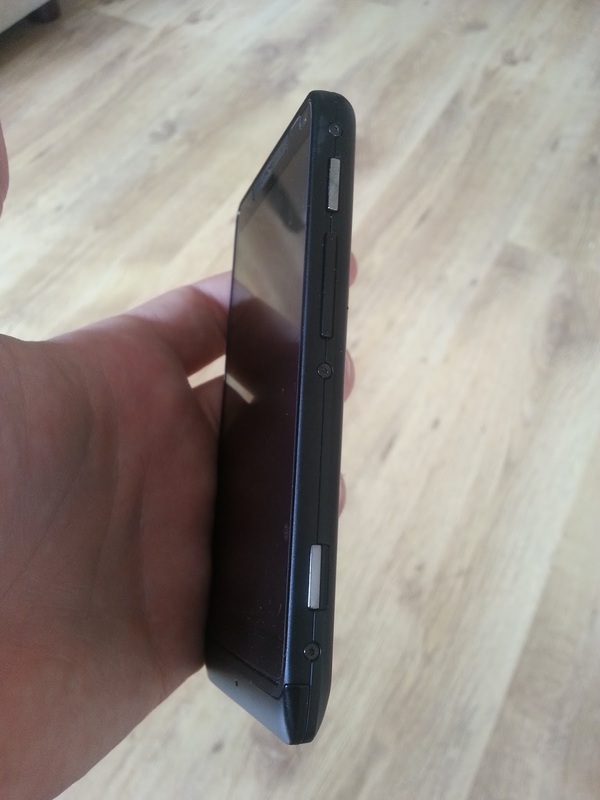 The volume rocker is then found on the right-hand side of the phone and there's no physical camera button here and no buttons on the left edge. 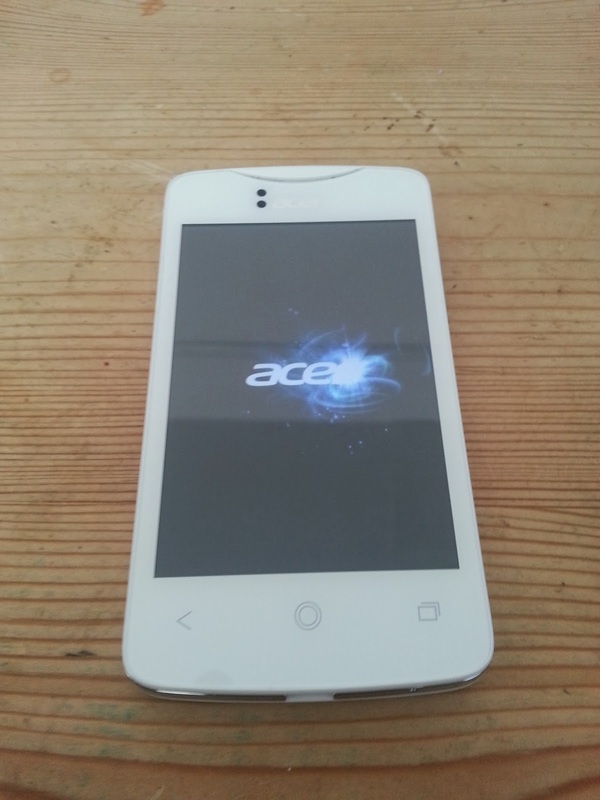 And for those of you who like to text in bed you'll be pleased to here that Acer have opted to put the Micro-USB port on the bottom of the phone! 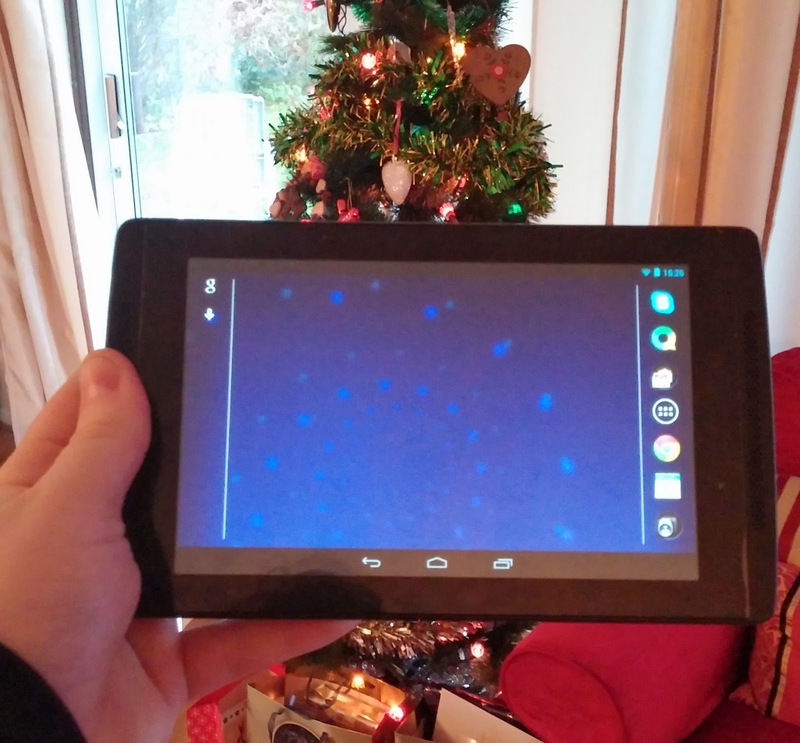 The display is probably one of the weakest parts of the device. The 3.5" screen carries a resolution of 480 x 320p, which is perfectly acceptable for a budget handset like this, but if you're used to using a device with a 720p display, then the difference will be immediately obvious. sort of money you can't really complain about the brightness or indeed the slight light bleeding which you'll notice all of the way around the screen edges when you look at the phone from funny angles and which becomes more prevalent in the dark. To be honest though, you'll be checking this thing out straight on most of the time, so even the slightly off viewing angles won't really be an issue at all! Some people may take issue with the two point multi-touch limit, but it shouldn't pose you too many problems in day to day use, although five point input would give the device better pinch to zoom accuracy, amongst other things. With a dual-core Mediatek processor on board, it's easy to understand reservations that you'll have about the phones' ability to push along Android 4.2.2. The reality is that you don't really need to be worried at all. 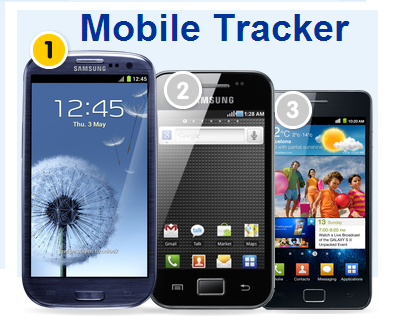 For the most part the phone is kept ticking along nicely in every day usage. There's not too many pixels to push here and yes, you may notice occasional slow downs, but the phone can handle the vast majority of what you'll throw at it without any problems at all. The fundamental apps like messaging, the dialler, even Facebook and Twitter load nice and quickly and YouTube playback is good too, although if you have a tablet that might give you a considerably more enjoyable viewing experience, just because the 3.5" screen is quite small by today's standards. There were points where there was some stuttering when moving between the app drawer screens, but this tended to be if we'd forgotten to close apps after using them, but again this didn't detract too much from the overall usage of the phone. 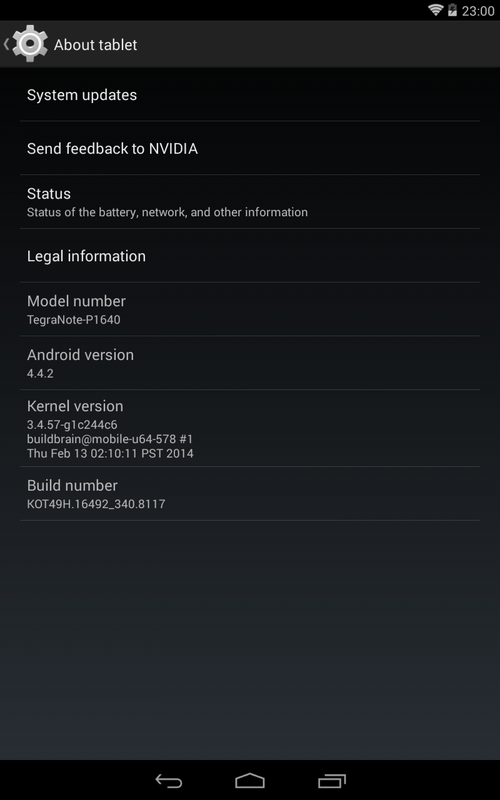 The relatively sock build of Android undoubtedly helps with this! on Quadrant's testing criteria and that's probably an accurate reflection of how well this little guy performs, especially when you factor in that there are considerably less pixels to push on this phone than something like the Galaxy Nexus, which has a 720p screen. Perhaps the one thing which would have helped considerably would have been a little bit more RAM. The 512MB allotment is what you would expect to see in a budget device, but it would've been great if this was even bumped up to 768MB, just so multitasking could be easier. All in all the bang for your buck in terms of performance is absolutely tremendous and there's nothing else at this price point which comes anywhere near, unless you're prepared to go for one of Nokia's Windows Phones. Oh, and before you ask, Angry Birds and Temple Run work perfectly well on the phone! 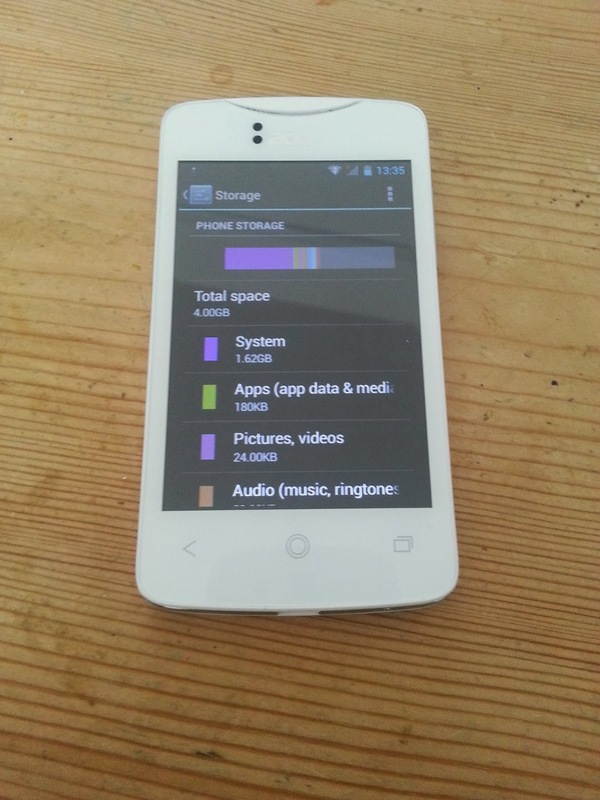 2GB of space for apps, unless of course you purchase a MicroSD card to bump up your storage. This is probably a good idea right off the bat, especially if you want to take some music and video with you on the fly. Given that this is a dual-sim phone, you might be expecting the battery life to take a hit. So far though, the little phone has been surprisingly good and the 1500 mAh battery has been more than enough to get through a full day with more than three hours screen on time and with numerous email and social network accounts syncing in the background. It might have something to do with the relatively low pixel density of the screen, which doesn't push the processor too hard, but either way it should last the majority of people through a day and if not, then you can always pick up a spare battery to carry around in your bag for camping trips or days out! Unfortunately there's too many positive things to say about the Liquid Z3's camera. If we're trying to remain optimistic, it does at least have a rear-facing camera, but the reality is that you won't want to capture those special moments with this device, which is a bit of a shame really, because this is the only real department which offers an almost unacceptable level of performance. The speaker similarly promises more than it delivers. Acer are quite keen to promote the DTS sound improvements on the device, but while the speaker is ok, listening through headphones is a much better experience, just as it is on most phones. 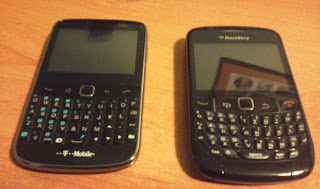 The Liquid Z3 Duo also, as the name suggests, has Dual-Sim functionality. This is implemented well in the Z3. Both of the sim cards are active at the same time, which essentially means that you can receive texts and phone calls on either number because they’re both connected to their networks all of the time. In our experience there haven’t been any issues with this system. One slightly strange thing is that the 3G sim card seems to always have three bars of signal and then occasionally it will tell you that you have no signal. We’re not sure if we honestly did always have three bars of signal, but it seems that the 3G signal strength is either slow to update or there’s some sort of software issue there. But, the 3G does work nonetheless. 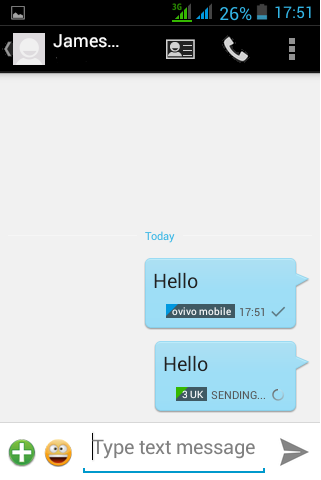 It’s also worth remembering that you have to set your preference for sending text messages and making calls with, which if you constantly swap between sim cards, is relatively simple, but Acer have kindly added a little solid bar to show you which sim will be sending you text messages as you type! If you want to change that quickly and easily then you can just pull down the notification bar, whilst in the messaging app, and tap across to the other sim, as you can see in the images to the right. Rating: 9/10! For this money you can not get anything near as good as this little phone! You can pick one of these little beauties up from Expansys here! The Motorola Razr I arrives in a simple box, it's merely wrapped in red colouring with some images of the device around the outside, but it's really quite an unspectacular box. 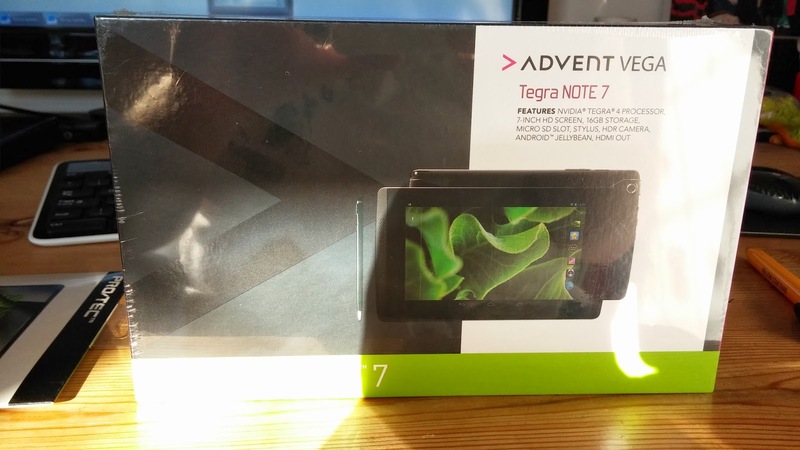 The box is pleasant enough, but it doesn't scream premium in the same way that HTC's boxes or even Samsung's faux-wood effect do. 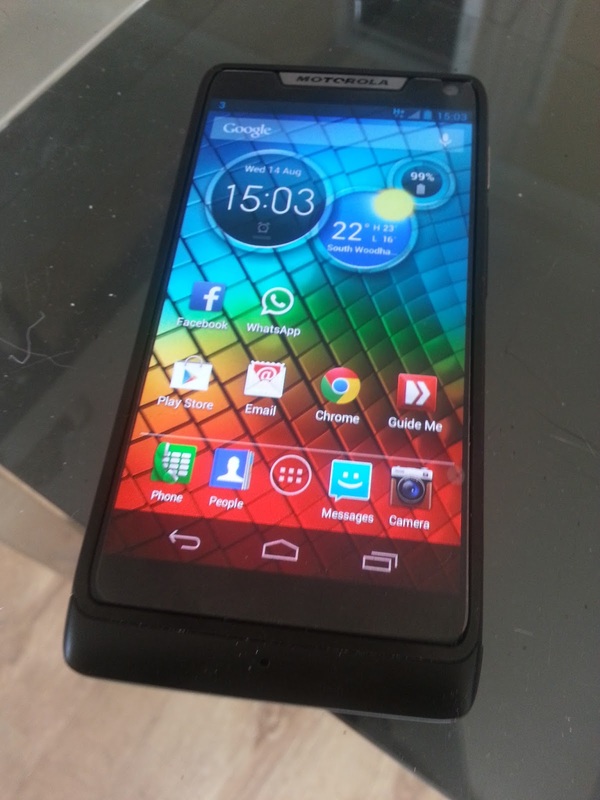 The Razr I isn't very similar to any devices which we've had the pleasure of playing with lately. It doesn't feel cheap in the same way that the Samsung Galaxy S3 does, instead the device is made of metal, Kevlar and you get a reassuring industrial feeling with the exposed screws down the side of the device. The Kevlar is actually a really interesting addition; it's soft, feels slightly rubbery, but you know that it's the same stuff which they make bullet proof vests out of, which just makes you forget how it feels in the hand. 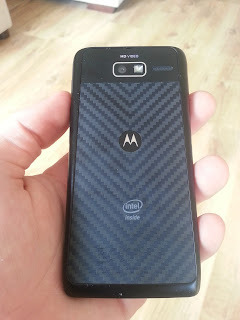 Strangely the area where the camera and speaker are housed on the rear is made of glass and it does feel as though Motorola has mixed and matched their materials a fair bit with this phone. One of the things which Motorola is keen on peddling with this device is the 'edge-to-edge' display. It's a fair description of the display, but it's not quite as edge-to-edge as the American firm would have you believe. Instead, there are textured bezels on the sides, which are slightly raised from the screen, but they are notably thinner than the bezels we've handled on any other device. That thinness might have been taken off the sides, but it does feel as though Motorola has just stuck them right onto the bottom of the screen instead, with the phone having quite a notable 'chin'. The 'chin' blends well with the on-screen buttons of the phone, so you're never too sure where the screen ends and the bezels begin. 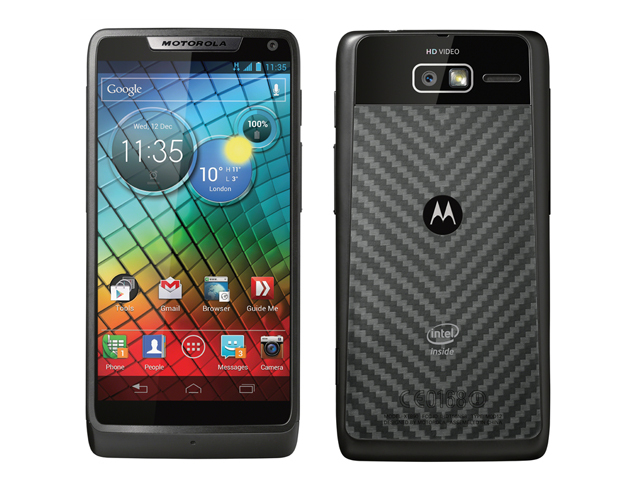 Motorola have chosen to put all of their buttons on the right hand side of the phone, as you hold it. That means the on/off switch, volume rocker and the physical camera button are all on the same side. The Micro-USB port is stuck on the left-hand side, so it's not too much of an inconvenient placement. The display is always going to be central to your smartphone and Motorola's choice to equip this device with an Amoled display is a great choice for this device. 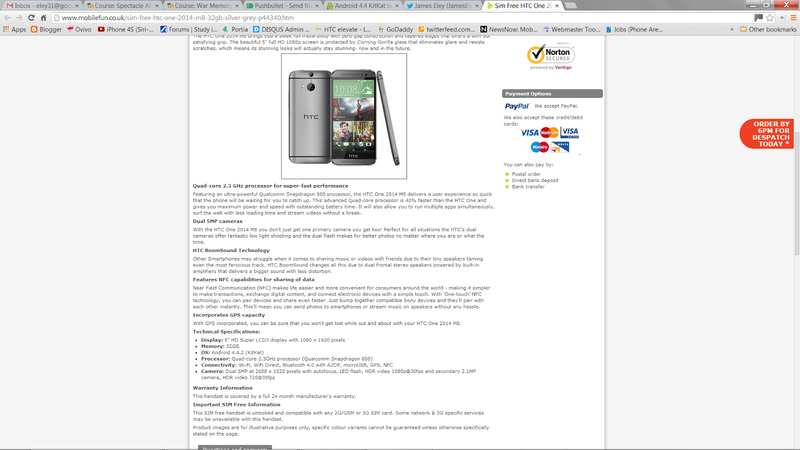 The screen is qHD, that's 960x540p, which is more than a good enough resolution for the 4.3" screen. Colours are oversaturated, as you would expect on this sort of display, and the only complaint which we would have is that the screen doesn't have the same brightness levels that some of Samsung's amoled displays have and it certainly isn't anywhere near as bright as some of the recent LCD displays. With Intel's single-core Z2460 processor clocked at 2Ghz running the show, many people were slightly concerned that the device wouldn't be able to keep up with the quad-core monsters of today. That couldn't really be further from the truth and instead the phone has no problem flicking between apps, web browsing or playing back video. 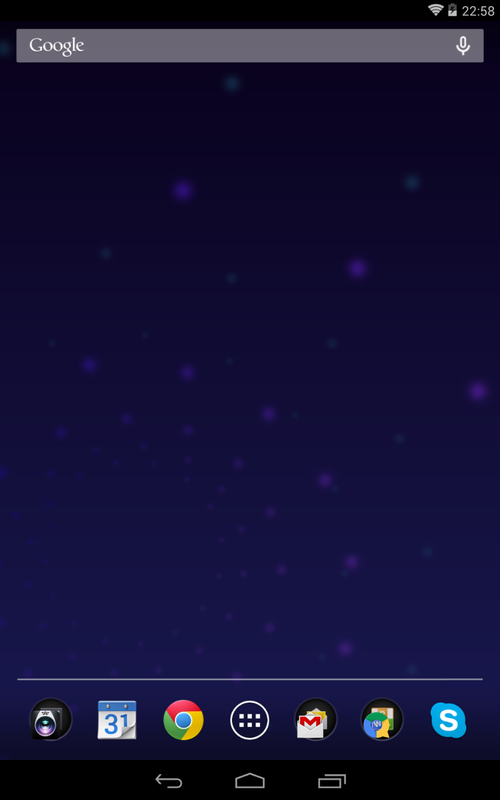 The only times when the phone didn't stay perfectly smooth was when you flick across to Motorola's quick toggle features page and the picture seems to stutter onto the screen, but the phone doesn't come close to grinding to a halt, it just means things aren't perfectly smooth when you swipe to this screen. 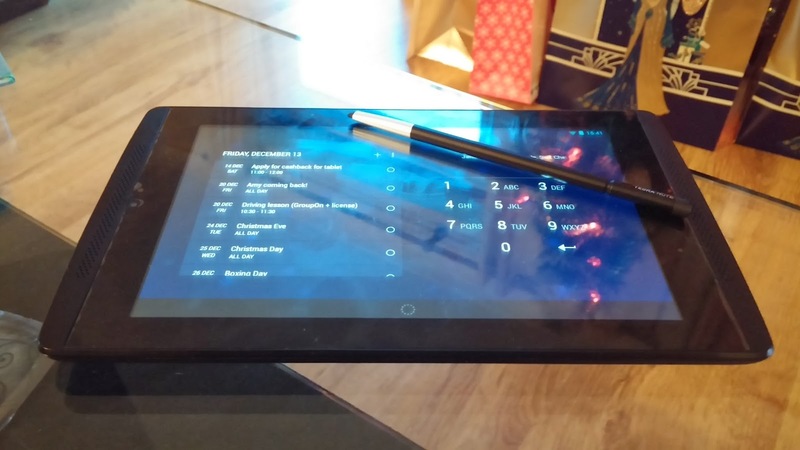 Because this device is running on one of Intel's chips, there will be some concerns that people won't have access to all of their favourite Android apps. 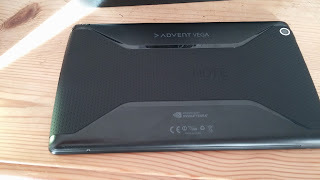 When Intel's processors were first optimised for Android, this was the case, but now there are very few apps which won't work with the processors and all of the apps which we tried worked flawlessly on the architecture. All in all the combination of a solid processor, Android 4.1.2 Jelly Bean and the relatively low resolution screen, make for all round good performance from this little phone. The Razr I is a little light on storage initial with the 8GB internal memory card only having 5GB of space available once Motorola has taken 3GB to keep the phones software contained. So 5GB will be more than enough for people's apps, but if you're thinking about taking your music collection with you on the fly then you might want to consider picking up an SD card to make the most of the SD slot on the device! This is perhaps on of the few points which we can criticise the Razr I in. If you're a heavy user then you won't be able to make it through a full day in the office, but if you use your phone for occasional texting, a few videos and phone calls and a bit of browsing or social networking then you can probably make do with nightly charges out of the 2000mAh battery pack. It's worth bearing in mind that the battery in non-removable so if you're planning on keeping the device for a long period of time then things will only get worse. It's by no means a bad battery pack, but it's not ideal for the heaviest of users! The Razr I is blessed with a relatively good pair of cameras for a mid-range device. On the front there's a VGA camera which will meet all of your needs if you need to use Skype on the go, but you probably won't want to be taking selfies with this camera. The rear 8MP camera on the other hand is a great addition. The pictures have enough detail when blown up and the ability to take full HD video at 30 frames per second is a great addition. There aren't any complaints with the sensors on the device given the price of the phone! We're pretty taken with this little thing, yes the battery isn't quite big enough for our liking, but for the majority of standard users and for most other people it will be more than suitable. As will the cameras, storage and screen and if we're honest you could pick one of these little guys up and be completely content, especially if you're not too taken with the larger devices at the moment! Rating: 8/10! There's a solid screen, great industrial design and a recent version of Android, there's not much to dislike here at all! 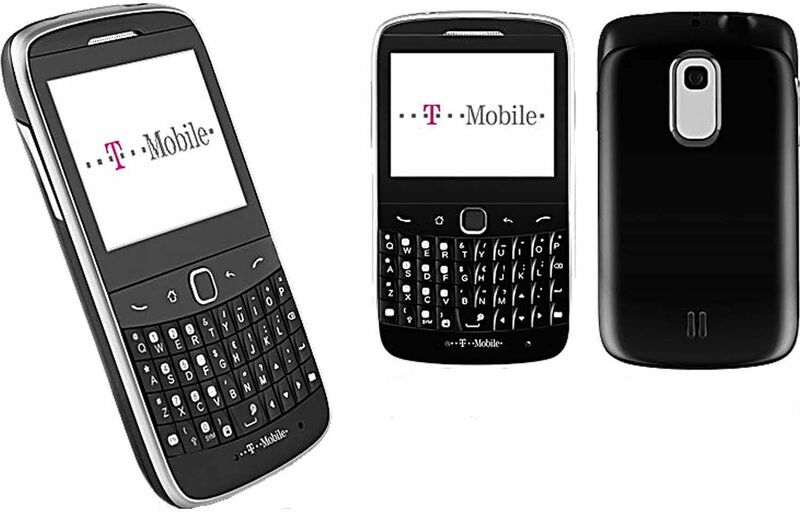 The T-Mobile Beat arrives in a relatively plain box; there's certainly nothing too fancy here. Instead, you're greeted by T-Mobile's famous hot pink colour and some pleasant pictures of people milling around in the parks, naturally they all have their phones out too! and physical qwerty keyboard, but some of my family members were offended when they saw what they thought was a Blackberry in a decidedly Android household. As you would expect with this sort of budget device there isn't too much beyond the black plastic which curves around the device, except for the occasional glints of chrome-style plastic on the right hand side of the device, which are the unlock button and the volume rocker. There is one other thing which we're not big fans of is the location of the microUSB charging port at the top of the device. It just makes everything a bit uncomfortable if you're trying to text while the device is on charge! Usually with modern devices this is the first thing which we look at when judging a phone, but with this device it's a little different. 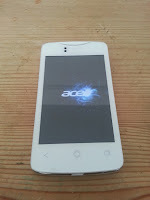 The screen on offer here is a small 2.4" screen with a resolution of 320 x 240p. If this was a smartphone we would instantly dismiss this as screen because it's also resistive, but in this instance the screen is actually perfectly respectable, especially when you consider the whole thing costs £15, we weren't even expecting a touchscreen, so this one is a bonus! There's really not that much to say about the screen other than you get the satisfying click when you've managed to select the thing on screen which you were aiming for, which we almost miss in modern capacitive screens. 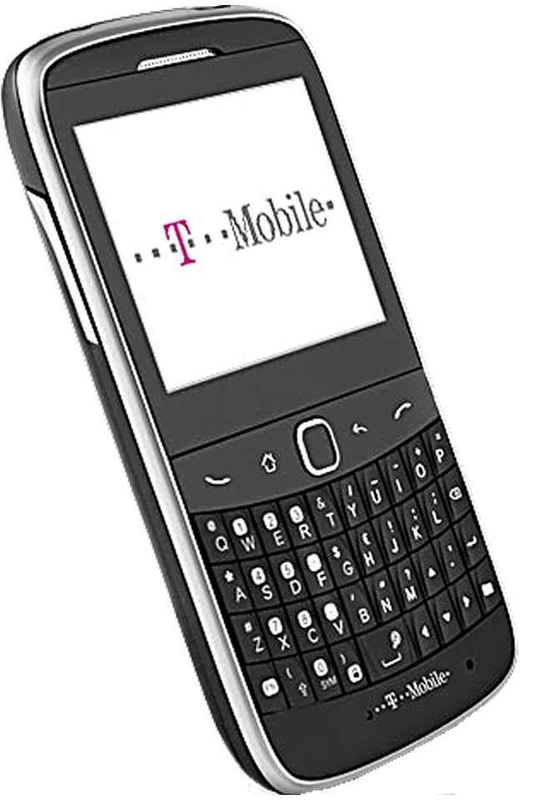 As with all feature phones there aren't too many hold ups here and we would even go as far as saying performance is good when scrolling through contacts and opening up messages. We did however, notice a notable lag when typing on the keys quickly and typically we would have to wait for the text to catch up before we could hit send. The software did puzzle us slightly because it is remarkably similar to Android in its implementation and we would not be surprised if ZTE were conducting an experiment and somehow managed to strip Android back to such an extent that no apps were supported any more and the OS flew on the weakest of modern phone hardware. That would be our guess as to what we have here. Talking of apps Twitter, Windows Live (unsupported now), Facebook and a browser are all pre-installed on the phone, but we've been unable to locate any Java apps which were compatible with the phone, so we think that's what you'll be stuck with, but again the price is so low, it's hard to expect any more! for 3G mobile networks, and it's true to say that the Beat only has 2G connectivity and lastly, the lack of apps means that you won't pull your phone out to play Angry Birds on the train. That being said if you text a fair bit, you can set the T-Mobile Beat's screen to full brightness and expect to get about three days of battery life if you're a big texter and a fair bit more if you aren't and we can't wait until smartphones can give us similar performance. There's only one camera on this little phone and it's a 3.2MP rear-facing shooter. There's no flash, there's just the basic app and the photos will only be taken if you've inserted an SD card into the phone. That might be a pain for some people, but if you need to take a picture of something in a hurry or in an emergency this will do the job, but otherwise we'd suggest using a little point and shoot instead of the camera on here, because you won't want to look over your holiday snaps if you take them all on this phone! We're not used to reviewing this sort of phone here, but if you need a back up phone, or you want to take something which won't break on a camping trip, you won't find too much which is better value for money. We're not sure we'd give this to a young child to play with because it won't stand up to the sort of beating which they would put it through, but even if it does break, there's not too much value there and they might even like that this thing looks like a Blackberry! Rating: 7/10! For a feature phone at this price, you can't really go wrong! 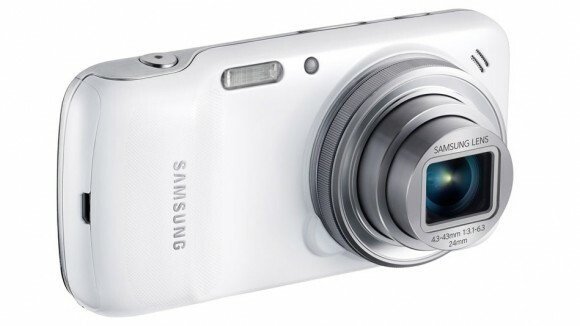 Samsung announce the Galaxy S4 zoom! A real cameraphone! It turns out that the leaks and everything else were spot on as today Samsung have announced what we hope is the final device in their Galaxy S4 line-up, the Galaxy S4 zoom. camera and to be honest it's not a bad option with a 16MP sensor which has 10x optical zoom, so this could be a really good camera replacement. The front facing camera is more of what you would expect on a smartphone with a 1.9MP sensor being employed here. 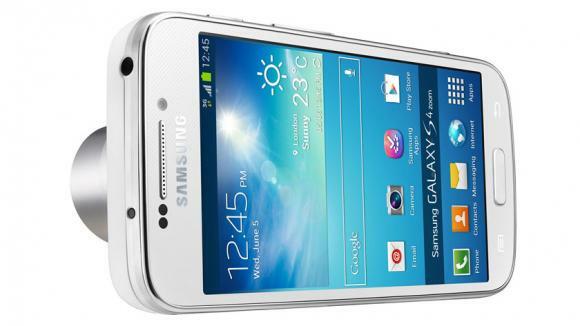 But, let's not forget that this is also a smartphone and as purely a phone this device would be a mid-range handset. Up front there's a 4.3-inch qHD, that's a 540 x 960p display, which will be driven along by a 1.5GHz dual-core processor, Android 4.2 Jelly Bean and 8GB of internal storage, but you will only have 5GB of that free. Mercifully though Samsung have included a MicroSD slot to store those snaps on! One thing which does concern us is the 2330mAh battery, which although it is removable, probably won't last too long if you're taking and uploading pictures all day, especially if you're making the most of the 4G, Wi-Fi, Bluetooth 4.0, GPS and NFC sensors too! The device will be coming to various places around the world, including the UK, during the summer, but we don't have any more details than that at the moment! iOS 7 commentary courtesy of hilarious spoof videos! During the last few days we've had the chance to have our first look at the new iOS 7 design language which is going to be rolling out to all iOS devices later in the year. As you can see from the picture to the right, things are going to be louder, slightly more cartoon-y and notably different to how they look now. Obviously opinion will be split on this redesign, but people never like change to begin with, but in the long-term it's for the best because iOS has to all intents and purposes looked the same since it was first introduced six years ago! Usually we're not ones for parodies, but in this instance we're going to make an exception because the video embedded below is simply hilarious and perhaps it's something to do with the way that the video actually manages to reflect a degree of truth! If you're interested in a great overview of all of the changes then check out this post here from TheVerge. Check it out and let us know what you think of it in the comments below and remember this is meant to be funny! In the last week you will have seen the reports which showed that Samsung has 6% of the value wiped from their shares or the equivalent of $7.7 billion dollars because of fears that the Samsung Galaxy S4 won't sell so well because of their recent announcements of the Galaxy S4 Active and the Galaxy S4 Mini. Galaxy S4, Note, Note 2, S2, OG S, Galaxy Pocket, Galaxy Music, S3, Mega 5.8, Mega 6.3, Galaxy Camera (doesn't really count I know), Galaxy Y, Galaxy Young, Galaxy S2 Plus, S4 Active, S4 Mini, S3 Mini, Galaxy Ace 1, 2 and is there a third one? Galaxy Xcover 1 and 2, Galaxy Nexus, Galaxy S2 Plus and I'm stuck. So that right there is Samsung's problem, but it's also part of their success. Samsung's strategy has been to try to cover every part of the market and as such it seems as though there has either been a new phone or tablet from the company each week for as long as I can remember. I believe that the reality is that people will still aspire to own the Galaxy S flagship or the Galaxy Note because they're top of the Samsung pile, but obviously Samsung need to cut down the amount of other devices like the S2 Plus and the Mega devices because they just make people confused. Confusion leads to indecision and when other companies get their acts together and offer compelling alternatives then Samsung might have a problem, but for the moment Samsung offer the best phones for the mid and low range market and that's why the alphabet and array of numbers above is working, that might start changing in the future though and Samsung need to be aware of what their competitors are doing. The share price shouldn't be too much of a concern because Apple have been having similar issues with their share prices lately, so I don't believe this is too big of a deal and Samsung will carry on as always. Now Samsung where are you hiding that Android 4.2.2 update for the S3? How the Galaxy S4 made me realise WIndows RT has a future! Earlier today the guys over at Clove posted this lovely little diagram above and it got us thinking: about where phones are at the moment. 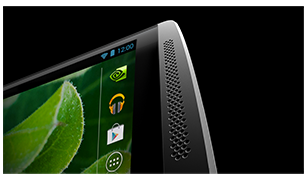 Something which especially stood out was Qualcomm's upcoming Snapdragon 800 processor. 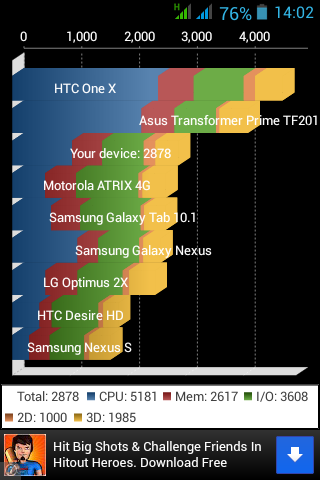 The Snapdragon 800 is set to be one of the most powerful mobile processors available and it will be clocked at 2.2GHz maximum speed. The dual-core Core i5 in my laptop is clocked at 2.7GHz and while it's more powerful at the moment it's only a matter of time before ARM-based processors out do the Intel and AMD chipsets in our laptops. That ladies and gentlemen is why I think Windows RT has a future and will become increasingly influential in the coming years. 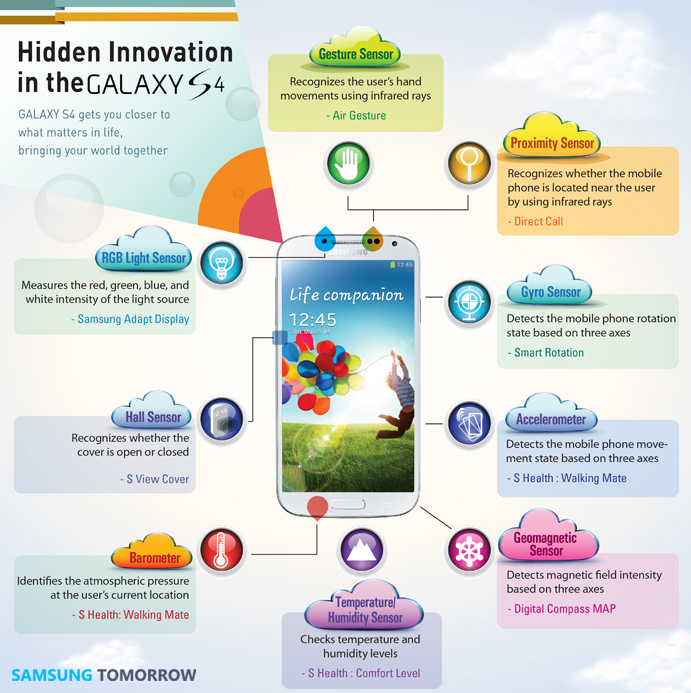 A big thanks to the Samsung Galaxy S4 and Clove for helping me reach that conclusion!